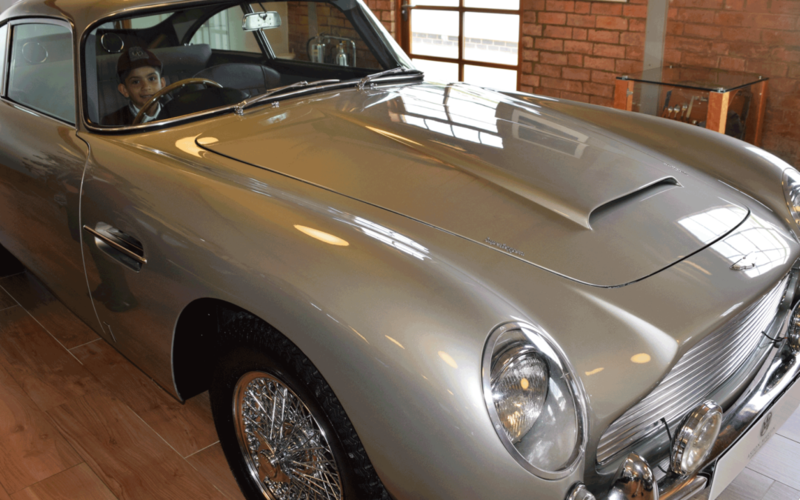 A James Bond DB5 was among the Aston Martin ‘showcase’ cars that Science Society pupils were shown by company General manager Justin Pearce who gave them an extensive personal tour of the company’s factory at Newport Pagnell, Buckinghamshire. The company was founded in 1913 by Lionel Martin and has, during the past century, become associated with luxury grand touring sports cars, and since 1964, with the fictional character James Bond following his first use of the car in the 1964 film Goldfinger. Justin Pearce told the children that unlike many other sports car manufacturers, Aston Martin cars are handmade. Porsche cars, for example, are mass produced and therefore make more cars in a year than Aston Martin had made in their entire existence. The children were shown the highlights of the manufacturing process from body-shop to the paint processing and were able to ask questions as they went round. At the end of the tour, the children were shown the range of current models and invited to sit in the cars and see the interiors for themselves.